We need the best homemade night cream for beautiful skin, right? Yes, one of the easiest beauty tips is to use homemade night cream. Keep in mind that there are many differences between the creams we use at night and the creams that we use during the day. Night cream serves to fill skin cells while we sleep, keeping our skin from hydrating and making skin look younger and brighter. While the cream during the day is more focused on protecting the outer layer of our skin. Many ingredients are simple and easy to get to make homemade night creams. So you can try it for your skin beauty. Wondering how to make night cream at home? Follow these home remedies and homemade creams for glowing skin that one can put on their face for amazing results. Rose water and almond oil are two of the best ingredients for the betterment of skin conditions. While rose water helps in hydrating the skin and keeping it, soft and glowing, almond oil provides the nourishment of vitamin E, bringing back the glow and shine on face. Now the question arises on how to make this night cream at home, well it is effortless. This homemade skin whitening night cream is not just a cream but magic for the skin. This cream helps in rejuvenating dead skin cells and increases the growth of new cells. Almond and cashew nut powder helps in skin cleansing and almond oil is full of vitamin E, which moisturizes the skin naturally. It works as a homemade night cream or moisturizer. Love apples? 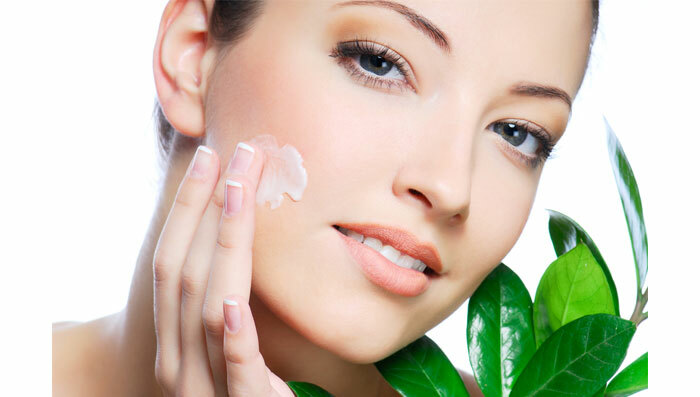 Here comes homemade night cream for fair complexion that is one hundred percent safe and natural. Apples are rich in vitamins A, B & C, malic acid and are also a good source of anti-oxidants, which help in making the skin fair and young. These creams soothe pimples and heal scars and spots as well. Homemade night cream for oily skin is what most of us look for. No one wants to get up with a layer of oil on their skin the next morning. It can make your skin look greasy and rob it off its natural fairness. Hence, one can try making this amazing green tea cream at home without much hassles. Green tea with its antioxidant properties heals the skin against the damage caused by free radicals and prevents premature aging while making it soft and glowing. Avocado is one of the best fruits for health as well as skincare. Not only it moisturizes the skin, but being rich in vitamins A, B, C and K and potassium and magnesium, also helps in reversing the effects of premature aging of skin. Olive oil and cocoa butter are skin friendly ingredients, which when combined together make for an amazingly effective homemade night cream for anti-aging. Cocoa butter is known to soften the internal layers of skin, keeping it supple and soft in the long run. A homemade night cream for oily skin in summers seems like a distant dream. Those who have oily skin can never think of applying a night cream in summers. But this homemade miracle can solve that problem. Aloe vera is a magical antiseptic that heals and hydrates the skin. It keeps the excess skin oil at bay and makes it smooth and glowing naturally. It is the best homemade night cream for oily skin in summers. This works as best homemade night cream for dry skin as glycerine hydrates and moisturizes the skin naturally. Fresh milk cream is considered to be the best therapy for skin. It cleanses, refreshes and moisturizes the skin completely and naturally. Hence, applying this homemade night cream daily can be the best skin regimen for anyone. Besides this it is also a good night skin care home remedy to try for flawless skin and complexion. Combination of turmeric and lemon is one of the best home remedies for glowing skin. Not only they brighten and bring glow to the skin but also help in keeping it free from bacteria and other free radicals. Butter and honey gives beautiful and supple skin along with hydration till the inner layers. This homemade night cream for fair skin is the best formula for acne prone skin as both honey and butter help rejuvenating skin cells. Orange is a seasonal fruit and hence is available mostly in winters. It is loaded with vitamin C which is a good source of natural moisturizer for face at night and the overall skin as well. Orange night cream is a wonderful ingredient that helps dry skin get the required nourishment naturally.